Meralco recently announced that it will lower its rate by 41 centavos per kilowatt hour (kWh) this May to only P8.44 per kWh for residential consumers. The new rate is one of the lowest electricity rates for Meralco customers, almost at par with the 8.40 per kWh in January this year and the 8.42 per kWh in October 2015. Compared to the same period last year, this month's rate is also lower by 15.4% or P1.54 less than May 2015's rate of P9.98 per kWh. The power distribution company said that lower fuel costs from natural gas plants and world crude oil prices led to the decrease in the overall electricity rate. But how will this lower rate affect one's monthly bill? 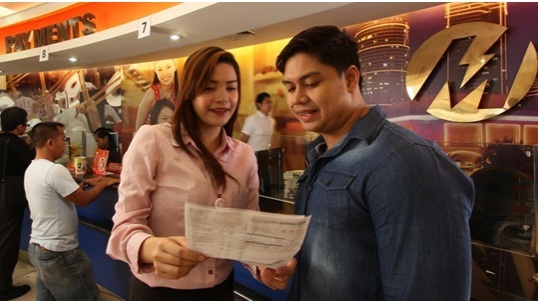 Can Meralco customers really save a lot from the reduced rate per kWh? Take note that Meralco has different distribution charges based on power consumption levels of its customers. So, you cannot simply multiply your kWh with the .41 centavos reduction to get the exact amount of what you can save. But, it will give you a rough estimate as to your discount, give or take a few centavos or pesos. But the question is, will Meralco customers really feel the savings they get from the reduced rates? Well, savings is still savings no matter how small. For some people, the minimum 82 pesos savings can't even buy a solo Espresso nor a tall Caffe Americano at Starbucks. But not all people spend their hard-earned money at coffee shops. For a lot of ordinary folks, that minimum savings of 82 pesos could buy at least 2 kilos of rice, enough to feed a family of five for about 4 to 5 meals. The same amount can also buy 10 packs of noodles, or 6 cans of sardines. For most Filipinos, any kind of decrease in the rates of utilities is welcome news. Discounts? Lower rates? Hey, just keep it coming. No one's going to complain.